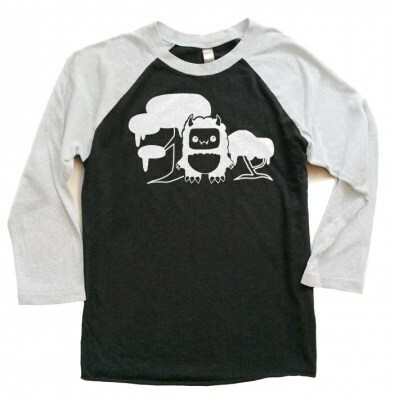 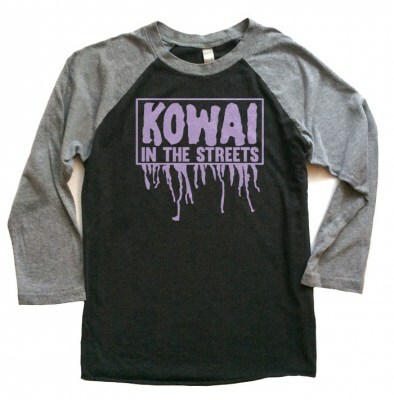 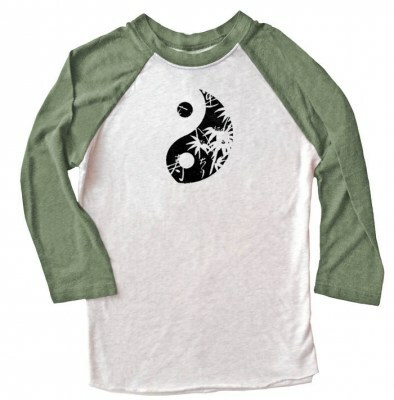 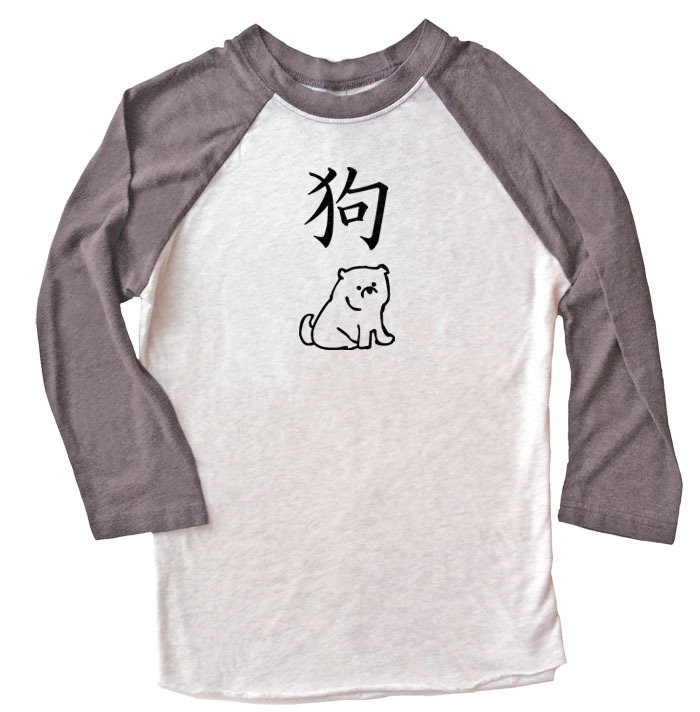 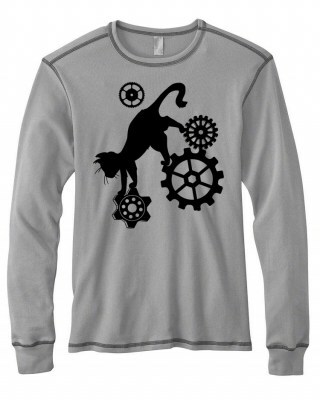 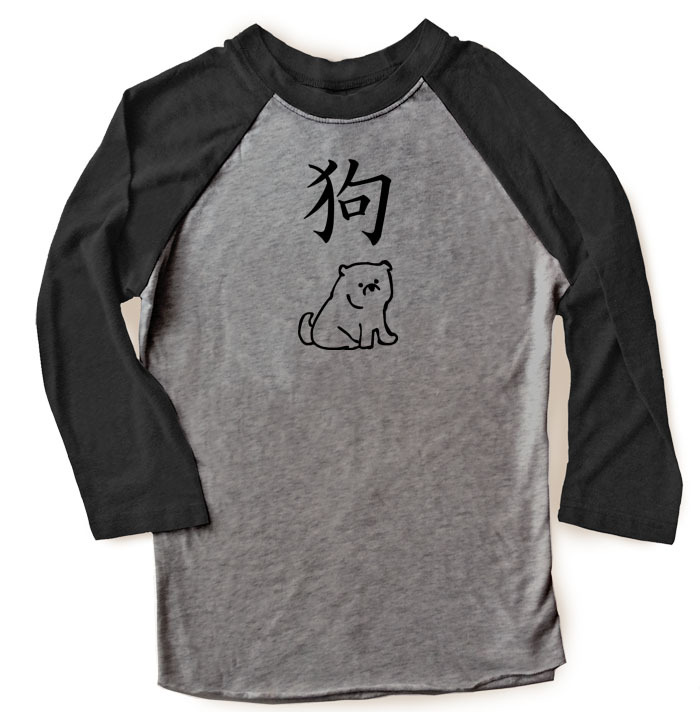 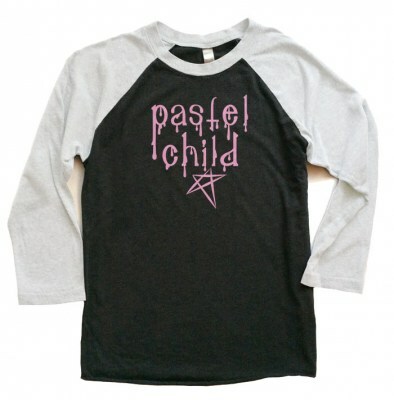 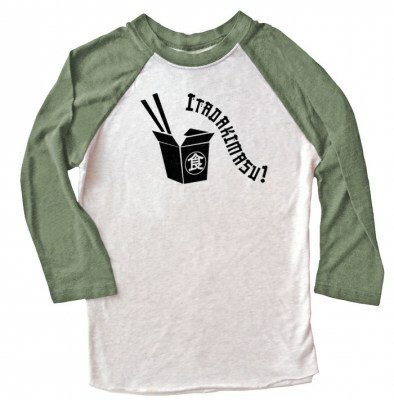 Featuring an illustration and the Chinese character for dog, this two-color raglan t-shirt makes a unique wardrobe item. 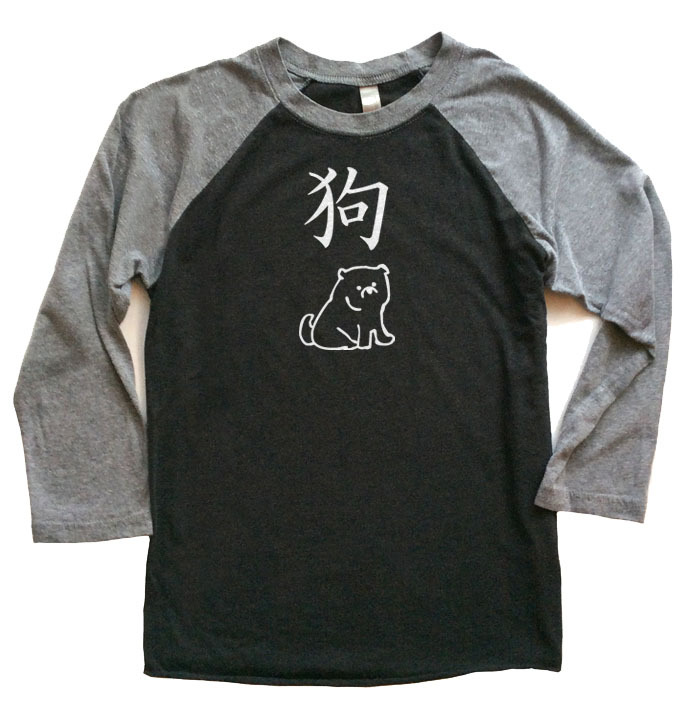 Celebrate the year of the dog, or wear it proudly if you were born in that year! Those born in the year of the Dog are loyal and honest, with a strong sense of empathy. 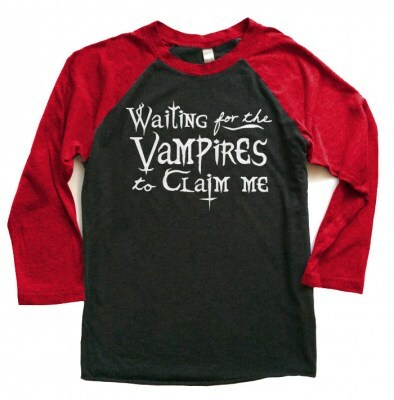 They are straightforward and responsible, though they may be found to be sharp-tongued or intolerant of weakness.